Welcome back for another #EdTechTidBits of the Week! From last week: Is there a problem with SAMR?, a new programming curriculum for K-6, make your own class badges, and a new app for LEGO Mindstorms! Article: "The problem with the SAMR model"
+Eric Sheninger recently shared an interesting article by Trevor Shaw on the eSchool News website. The article is titled "The problem with the SAMR model" and it grabbed my attention immediately, as I am strong advocate for the SAMR model. If you're not familiar with the SAMR model, it was originally created by Dr. Ruben Peuntedura, who speaks and blogs about it at his weblog. The model is a tool for evaluating the integration of technology in the classroom. The gist of the article basically states three concerns: the definitions of the model can be a bit sticky, there is sometimes confusion over whether redefintion is the end goal, and a lack of focus on the learning goals. When I speak to educators about the SAMR model, and I too find myself having to clear up these misconceptions and concerns. But I still stand by the model as an effectives method of self-evaluation and reflection. The developers of the Kodable programming game for the computer, web, and iOS (Android coming soon!) recently released an entire Common Core aligned programming curriculum for grades K-6. The curriculum contains 4 units: Sequence, Conditions, Loops, and Functions. 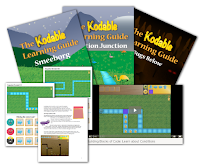 Each unit includes a teaching guide, vocabulary, unplugged activities, and Kodable activities. If you sign up for a free teacher account you get the first two units for free and you can track your students' progress via the Kodable teacher dashboard. 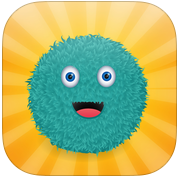 The rest of the curriculum requires you to sign up for a paid Kodable School account (quotes required for pricing). 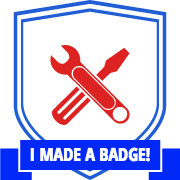 +Kasey Bell sent out a tweet (@ShakeUpLearning) about a simple, free, web-based, badge maker called Makebadges (by Makewaves). Choose a shape, an icon, a border, and your colors, and easily download your badge to share with your students. 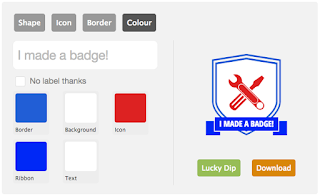 If you're thinking of giving badges a try in your classroom, this is a quick and easy tool. 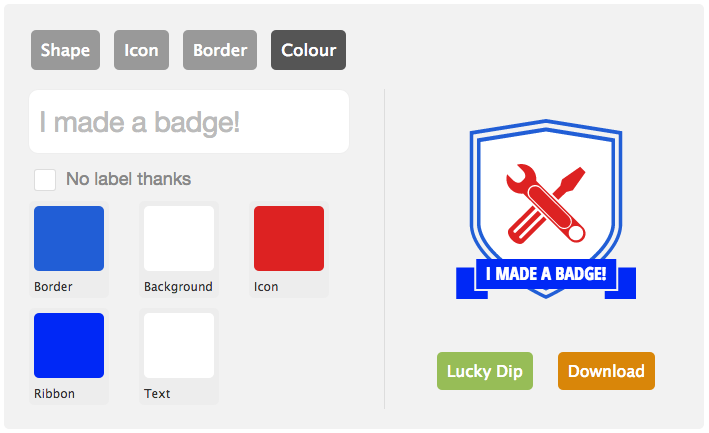 You can even upload your own icon into the badge maker. 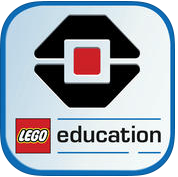 At the beginning of April, LEGO released a new iPad app for the Mindstorms EV3 kit. With the purchase of a kit & software, you get access to the iPad app, which allows you to create programs for your EV3, follow six tutorials that teach you how to build and program, and access Help and Teacher Support. 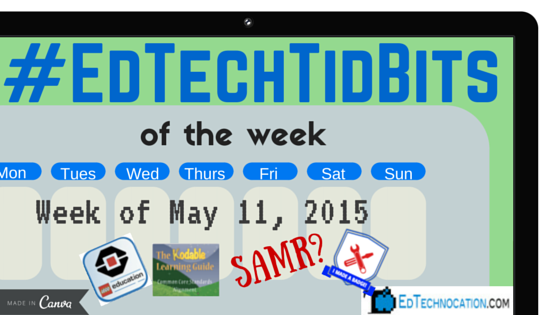 Thanks for checking out this edition of #EdTechTidBits of the Week! See you next week! Do you have any #EdTechTidBits to share? Add them in the comments below or use the hashtag.